These basic tips from the American Academy of Dermatology (AAD) will help you apply a self-tanner so you get even coverage and longer-lasting results. 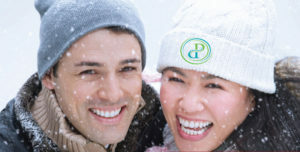 Living in a climate with cold winter months like ours, the drop in humidity levels will often make your skin feel dry, tight, chapped and flaky. As the air becomes drier, the moisture from your skin evaporates quickly leaving you searching for some way to quench your thirsty skin. That’s when you need a moisturizer. Simply put, moisturizers are lotions or creams that prevent dryness, or lack of lipids (oil), in the skin. Everyone needs to replenish the lipids and water that make up the skin’s moisture barrier, which are reduced when the skin is cleansed and exposed to our daily indoor/outdoor environments. Determining the right moisturizer will depend largely upon your skin type and condition. No matter what kind of skin you have—oily, dry or a combination of both, there’s a good moisturizer out there for you. How do you know what ingredients to look for in a moisturizer? There are so many different types of moisturizers on the market it can be a daunting process to find the one that’s right for you. Emollients: fats and oils, such as phospholipids, glycolipids, ceramides and fatty acids, that replenish the lipids produced naturally by the skin. Moisturizers for drier skin contain more emollients than those for normal or oily skin types. Humectants: ingredients that bind water (hydrate) to the skin, such as hyaluronic acid and glycerin. Moisturizers for oily skin usually contain more hydrating ingredients and fewer, lighter emollients. Occlusives: ingredients whose molecules are too large to penetrate the skin, but stay on top to help prevent loss of both lipids and water, including silicone, petrolatum and mineral oil. What’s the difference between moisturizers that are sold over the counter (OTC) and medical grade that are sold through physician’s offices? Medical grade skin care products contain the greatest amount of advanced performance ingredients available in the skin care industry. They can be very “active” and are intended to be used under the advice of medical staff. Our aestheticians perform a professional skin analysis to determine your personal skin type and condition in order to recommend the products that are best for you. In addition to preventing dryness, many medical grade moisturizers have additional corrective ingredients, such as growth factors, peptides, and restorative botanical ingredients. These are often patented formulations clinically proven to affect changes in the appearance of the skin. For example, Neocutis® Micro Day & Micro Night contain ingredients such as advanced, patented peptides that improve the appearance of fine lines/wrinkles, firmness and the overall tone and texture of the skin. SkinMedica®’s HA5 Rejuvenating Hydrator contains an advanced blend of hyaluronic acid that support the skin’s ability to retain moisture, resulting in radiant, rejuvenated tone and texture and reduction of fine lines and wrinkles. 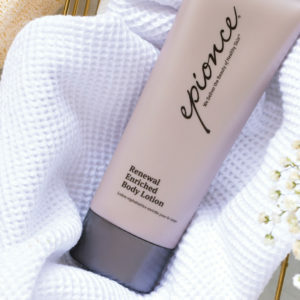 Renewal Facial Lotion by Epionce® contains clinically-proven restorative botanical ingredients that protect the skin’s moisture barrier and help reduce the appearance of lines and wrinkles. EltaMD®’s Intense Moisturizer contains both emollient and occlusive ingredients and can effectively combat dryness associated with some prescription medications. OTC products, by law, contain levels of ingredients that have to be safe enough to be used by the general population, who may be selecting products based on how their skin looks or feels. These products can be effective at moisturizing the uppermost layer of the skin, but generally do not contain state of the art or corrective performance ingredients. Too much information to digest? Our master aestheticians are happy to do this work for you! Come see us in Norfolk, Virginia Beach, Newport News or Williamsburg for a consultation and customized skin care treatment regimen for your unique skin type. As skin care providers we know that what you put on your skin matters. Each skin type is unique and can be sensitive to a variety of different ingredients contained in skin care products. We spend a lot of time researching the skin care product lines that we carry. We will put our seal of approval only on the products that we feel good about and those that we would wear ourselves. In addition to our current skin care product lines: Neocutis®, SkinMedica®, EltaMD® and Revision®, we are excited to introduce Epionce®, developed by Dr. Carl Thornfeldt, a practicing dermatologist with over 30 years of skin research experience. Epionce® is a clinically-proven product line consisting of restorative botanical ingredients. It delivers powerful antioxidants and barrier repair components to maximize the skin’s natural functions, resulting in healthier, more youthful looking skin. Anti-Inflammatory Technology helps block the formation and activation of inflammatory factors in the skin. The key ingredients are: Date Fruit Extract, Meadowfoam Extract, Apple Fruit Extract and Flax Extract. Barrier Repair Technology helps strengthen and repair the natural protective skin barrier for optimal function. The key ingredients are: Safflower Extract, Avocado extract, Meadowfoam Extract, Phytosterols and Phytosphingosine. Keratolytic Technology encourages cell turnover to remove dead skin cells, clear pores of impurities and retexturize skin. Key ingredients are: Azelaic Acid, Zinc Pyrithione, Salicylic Acid and Willow Bark extract. The Epionce® line is ideal for ALL skin types, and is particularly helpful for our patients with sensitive skin or those with inflammatory skin conditions such as acne, dermatitis or rosacea. The products are gentle, chemical-free and they work well in combination with many of the prescription products that our providers prescribe. To find out if Epionce® is right for you, schedule an appointment for a skin care consultation or ask about it at your next appointment. 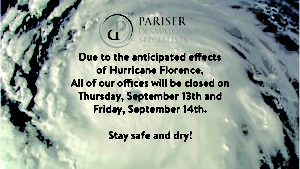 To make an appointment call 757-622-6315 or request an appointment online. Announcing Our New Chat Feature at PDS! 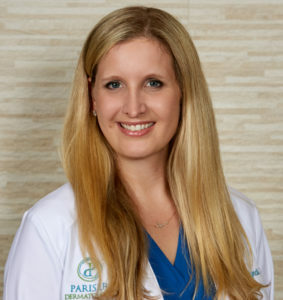 When you visit our web site at pariserderm.com now you can choose to chat with one of our real, live Patient Relations Specialists. Simply click the “chat” icon in the bottom right corner of the page and get started! It’s a great way to save time asking questions or making appointments. More people are diagnosed with skin cancer each year in the U.S. than all other cancers combined. A head-to-toe skin examination by a medical provider is the best way to catch skin cancer early, which is when it’s most treatable. Our providers recommend that you be seen for a skin cancer screening once per year, and that you keep an eye on your own spots and make note of any changes. Click here to learn more about what to expect during your exam. Watch this video where Pariser Dermatology’s Melissa Alcox, PA-C, demonstrates how she performs a full body exam. Call 757-622-6315 to make your skin cancer screening appointment today! In the vast array of medical-grade cosmetics, or “cosmeceuticals”, it can be overwhelming and expensive to figure out which ones work best. So we’ve asked our medical experts who know what to look for in medical-grade cosmetics, what they like best. 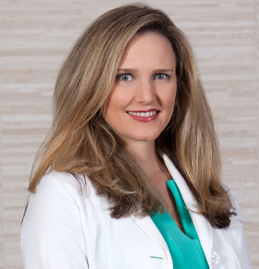 Today’s highlight is on Dr. Ashley Reed’s favorite: Neocutis® LUMIÈRE. 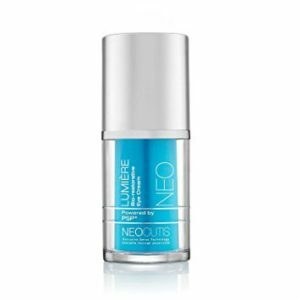 Neocutis® LUMIÈRE is available at all 6 of our office locations. To learn more call us at 757-622-6315. As part of our comprehensive skin care focus, we offer “cosmeceuticals” which are skincare products that contain biologically active compounds that can have pharmaceutical effects on the skin. For example, if you want to lessen the effects of aging and smooth out fine lines and wrinkles, there’s a vast array of products on the market. It can be overwhelming and expensive to figure out which ones work best. So we’ve asked our medical experts who know what to look for in medical-grade cosmetics, what they like best. 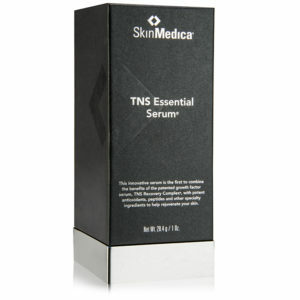 Today’s highlight is on Dr. Cyndi Torosky’s favorite: SkinMedica’s TNS Essential Serum. You can find TNS Essential serum at any of our 6 office locations or, you can buy it from our online store and get Free Shipping at https://pariserderm.brilliantconnections.com/. 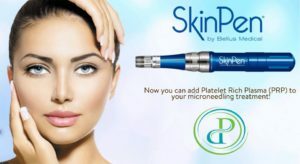 What’s all the Buzz about Platelet Rich Plasma (PRP)? You might have heard of the “Vampire Facial” and if you’re like me, it doesn’t sound like something you’d ask for, much less pay for! Yet, the “Vampire Facial” is quite popular thanks in part to publicity surrounding Hollywood celebrities and their experience with it. What puts the vampire in the facial is the addition of platelet rich plasma (PRP) to a facial treatment such as microneedling. The platelet rich plasma comes from your own blood and contains healing properties and growth factors. When these growth factors are concentrated and reintroduced into the face during a microneedling procedure, they promote rejuvenation within damaged facial tissue. The goal is to see better results when treating facial scars, acne and damage from the sun. The use of PRP to promote healing has been used in healthcare for over a decade and has made its way to dermatology. Not only is PRP used for skin rejuvenation but dermatologists are also using it to treat hair loss by injecting it directly into the scalp and are getting some pretty amazing results. Whether the dermatologist is using PRP for skin rejuvenation or to treat hair loss, the basic process of obtaining the PRP is the same. It starts with a basic blood draw of 1 or 2 tubes of blood. The blood is then processed in a high speed centrifuge where the platelets are separated from the red blood cells. This results in a small syringe of plasma containing a high concentration of platelets rich in the growth factors needed for rejuvenation of skin or hair follicles. The PRP suspension is then ready to be used on the face for facial rejuvenation or injected into the scalp to stimulate hair growth. Whether having PRP treatment for facial rejuvenation or for hair loss, there are very few side effects or risks. A consultation is needed to make sure a patient is a good candidate and more than one treatment is necessary to achieve desired results. While the use of PRP in dermatology is considered cosmetic and there are no extensive clinical studies substantiating its effectiveness, most dermatologists agree that the use of PRP shows great promise in skin rejuvenation and promoting hair growth.